Tele® neck pickups are finicky creatures. Players have often complained that they’re too weak, too muddy, and just don’t sound good. The Twang King™ Neck solved these problems, and we’ve taken it to the next level with the True Velvet™ T Neck. The low strings are as big and clean sounding as they are with the Twang King™, the highs are smoother, and the attack is stronger. 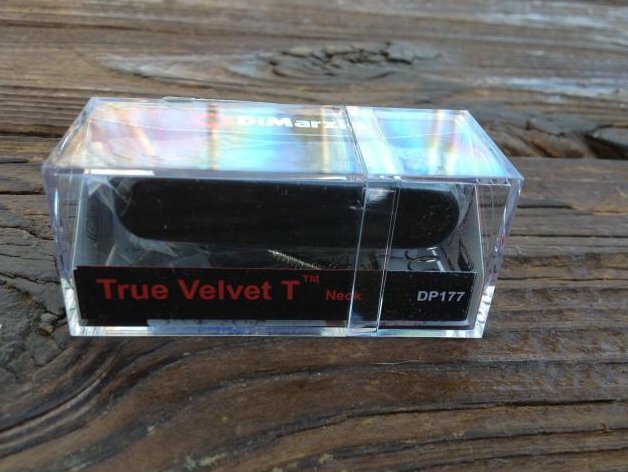 This combination of qualities allows the True Velvet™ T to sound both pretty and tough. Like the Twang King™, the True Velvet™ T features controlled-tension coil-winding, special wire and hand-calibrated magnets. It also has an unplated nickel cover for the purest sound, and it's wax-potted twice for squeal-free performance.